Cheryl Barker studied in Melbourne with Dame Joan Hammond and in London with David Harper. She appears regularly with Opera Australia, where her roles have included Nedda in I pagliacci, the Countess in Le nozze di Figaro, Mimì in the award winning Baz Luhrmann production of La bohème, Violetta in La traviata, Donna Elvira in Don Giovanni, Tatyana in Eugene Onegin, Giorgetta, Suor Angelica and Lauretta (Il Trittico) and the title roles in Madama Butterfly, Tosca and Jenufa. She has also sung Violetta for Opera Queensland, and Madama Butterfly and Violetta for BTR New Zealand Opera. 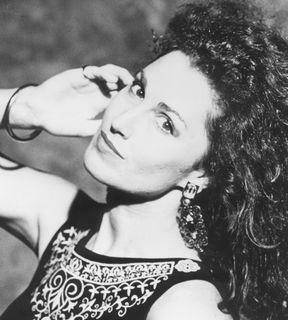 Internationally, Cheryl Barker is particularly noted for her performances of Madama Butterfly, singing this role for English National Opera, De Vlaamse Opera, Hamburg State Opera, Deutsche Oper, Berlin, Netherlands Opera and Houston Grand Opera for whom she has also performed Sarah in the world premiere of Jake Heggie’s The End of the Affair. Other international appearances include Jenifer (A Midsummer Marriage) for the Royal Opera, Covent Garden, Tatyana and Adina (L'elisir d'amore) for Scottish Opera, Oksana (Christmas Eve), Foreign Princess (Rusalka), Governess/Miss Jessel (The Turn of the Screw), Musetta (La bohème), Donna Elvira, Tosca, Salome and Emilia Marty (The Makropoulos Case) for English National Opera; the title role in Maria Stuarda for ReisOper; Violetta for Hamburg State Opera and the Deutsche Oper; Suor Angelica, Giorgetta (Il Tabarro),Mimi, Desdemona (Otello) and Liu (Turandot) for De Vlaamse Opera and Katya Kabanova for Welsh National Opera and in Geneva. On the concert platform, Cheryl Barker has appeared at many prestigious venues including London's Barbican, Royal Albert Hall, Queen Elizabeth Hall, Wigmore Hall, St John's Smith Square, and with the Halle Orchestra. 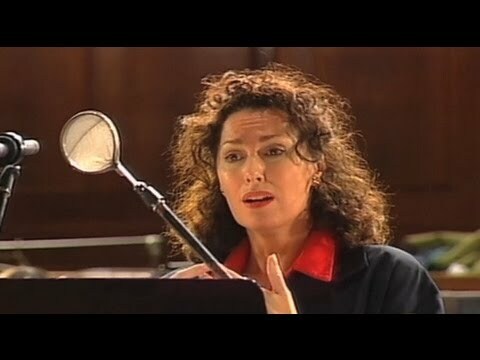 She has sung in the Edinburgh, Spoleto and Melbourne Festivals. Television, videos and recordings include Puccini Arias (Melba Recordings). Recent and forthcoming engagements include the title role in Rusalka, all three soprano roles in Il Trittico, Arabella (for which she won Green Room and Helpmann awards) as well as Desdemona, Emilia Marty, Madama Butterfly, Manon Lescaut (role debut) and the Marschallin/Der Rosenkavalier (role debut) for Opera Australia, concerts with the Sydney Symphony Orchestra and The Queensland Orchestra, Miss Jessel for English National Opera, Madama Butterfly in Paris, Emilia Marty in Amsterdam, Francesca da Rimini (role debut) in London and the title role in Barber’s Vanessa (role debut) at the Vienna Konzerthaus. As a result of a highly successful national tour for Musica Viva in 2005 she toured again for MV in 2008. She holds an honorary Doctor of Music by the Victorian College of the Arts.